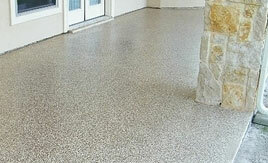 Altra Concrete Solutions specializes decorative and protective concrete floor finishes for the Commercial industry. However, we also undertake many residential and industrial projects as well. Whether its epoxy, polyasporic, polyurethane, or polished concrete, we enjoy turning stained, cracked, and dull concrete surfaces into attractive durable floors that require little maintenance. 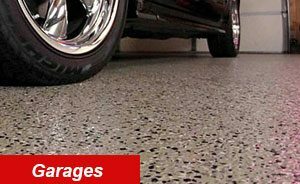 Our polyasporic and epoxy concrete flooring systems are ideal for various industries including retail outlets, health care facilities, warehouses, homes, and heavy industry. The floor finishes we apply are extremely tough and resilient with the ability to withstand pressure from heavy equipment. 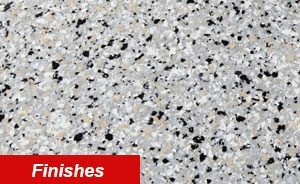 Our polished concrete flooring also has a longer lifespan (five to ten years) than traditional materials such as stone tile or vinyl composite tile, and it is environmental friendly. We start every job with a free inspection of what needs to be done to achieve the look and purpose you’re after. We’ll also make suggestions you may not have thought of. 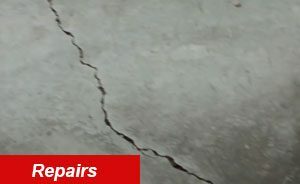 We begin by repairing any areas of damaged concrete and fill in all cracks. 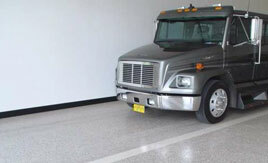 Next, we use advanced grinding compounds and equipment to grind your floor to a smooth finish. The desired materials and high gloss finish is then applied to achieve a beautiful and durable finish. With minimal maintenance, your new floor finish will last many years and add value to your property. Our service area for concrete floor finishes includes Windsor, Sarnia, London, Hamilton, Chatham, Leamington, and all the small municipalities in between. 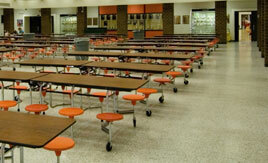 Specializing in commercial concrete floor finishes in the Windsor, Chatham, Sarnia, London, Hamilton, Leamington region. 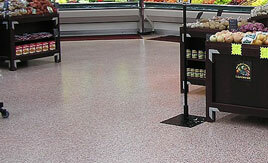 High quality decorative and protective concrete floor systems designed to last.